So you say you served? Where's your proof? The VetRecs CardTM is your easy, portable and secure solution for certified military separation documents. 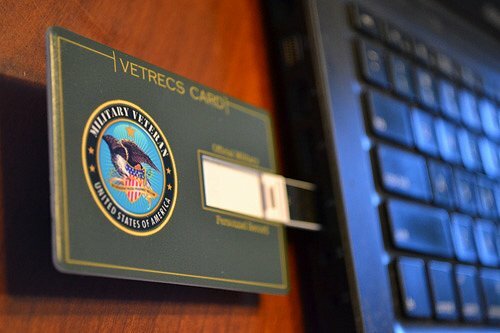 This credit card-sized, waterproof card is available ONLY to veterans because when you order the card, your records are sent directly to us from the government records facilities. This allows us to certify only authentic records and place the digital, certified images onto your VetRecs CardTM. We digitally certify your separation documents before loading them onto your card in order to significantly reduce the possibility of tampering, alteration or fraud. The VetRecs CardTM provides a secure environment for your documents. Your documents are encrypted using AES. AES stands for Advanced Encryption Standard. AES is a symmetric key encryption technique adopted by the US Government which will replace the commonly used Data Encryption Standard (DES). 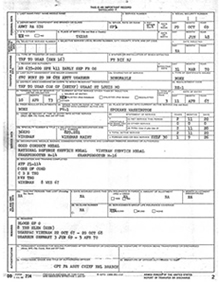 AES provides strong encryption and has been selected by NIST as a Federal Information Processing Standard on November 26, 2001 (FIPS-197). It became effective as a Federal government standard on May 26, 2002 after approval by the Secretary of Commerce. AES is the first publicly accessible and open cipher approved by the NSA for TOP SECRET information. The USB-capability of the card allows nearly ubiquitous access to your separation documents from virtually all computers, whenever and wherever you need them. 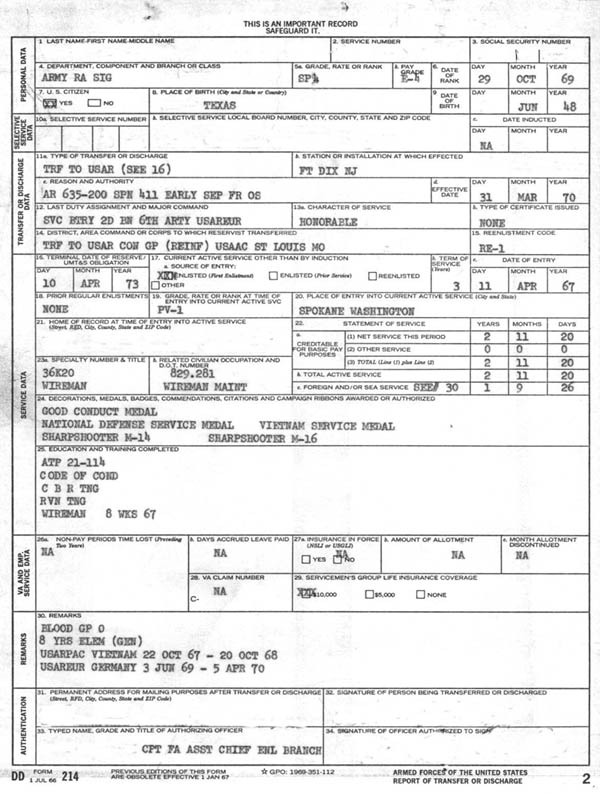 More and more agencies which provide veterans with benefits and/or preference, including discounts, in order to establish eligibility will require some form of a certified DD-214 or separation document. From schools to VA hospitals to prospective employers, you simply need to take your VetRecs CardTM out of your wallet, plug it into a computer's USB port, enter your password, and your records are decrypted and available for use. VetRecs CardTM includes our retrieval of your DD214 (our EZ Service, government processing), two (2) certified hardcopies, presentation folder, and one (1) VetRecs CardTM for your most recent branch of service (unless otherwise specified, one branch if you served in multiple branches). Allow 4-6 weeks for delivery.